The Wire Nettingbush grows best on bright to full sunny spots. If placed in the garden or on the balcony a light shaded place with only a few sunrays per day is also fine. Regular mixes for container plants, vegetables and herbs can be used pure or mixed with some bird sand or clay granules. 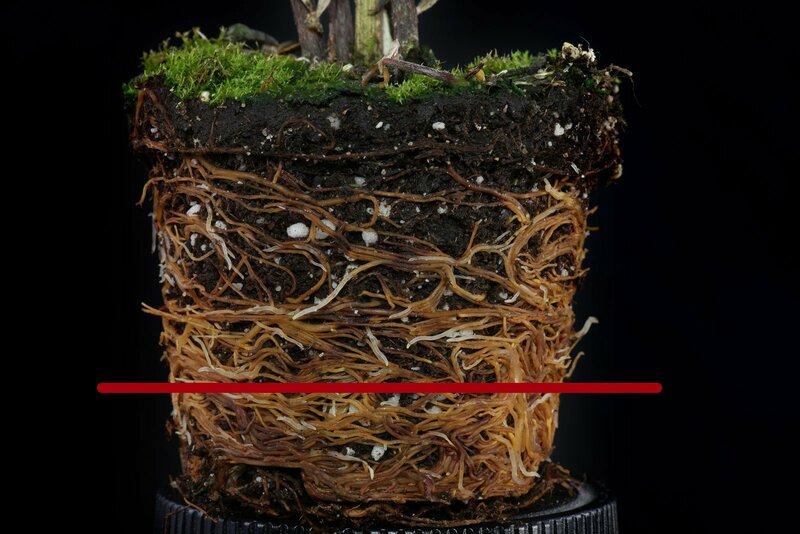 Let the soil dry between the waterings to about 70-80 % of the pots height. 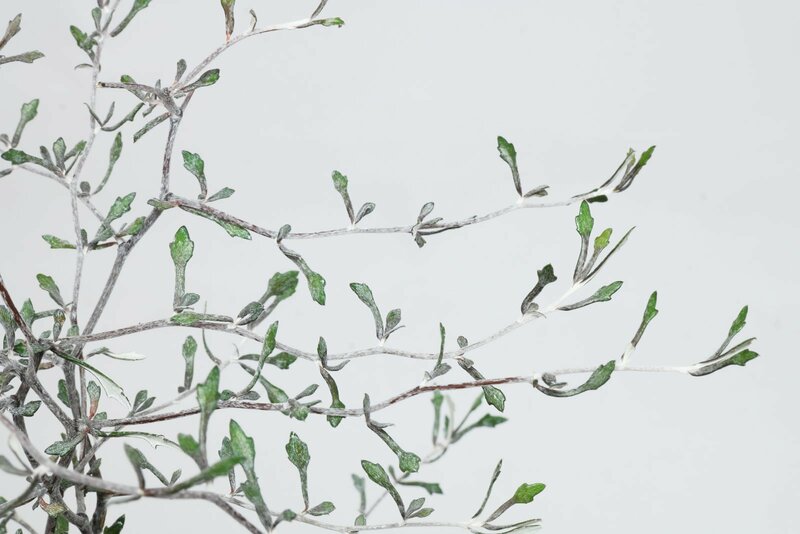 If Corokia cotoneaster is placed cool to temperate in winter reduce watering. Avoid overwatering or drying out. 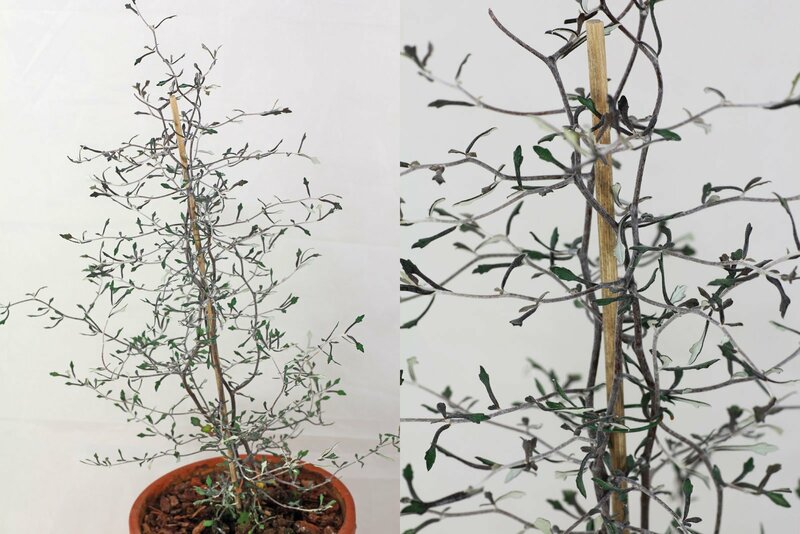 To keep Corokia cotoneaster healthy it should be placed cool to temperate during winter at 1 to 15 °C (34 to 59 °F). A minimum of -5 °C (23 °F) will be tolerated for some days but this plant is definitive not hardy. 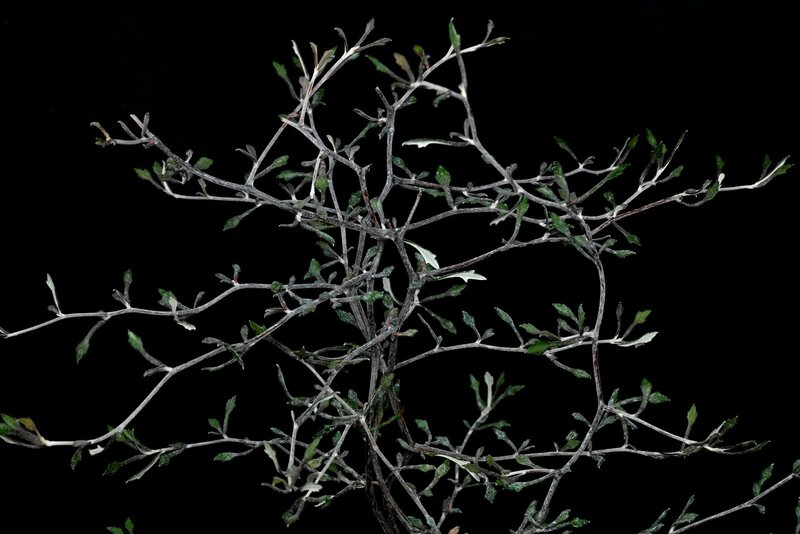 The Wire Nettingbush is not hardy but can survive short frosty periods with -5 °C (23 °F).